Computer Weekly has reviewed two different tools - Jaspersoft's open source Business Intelligence Suite Enterprise Edition and QlikTech's commercial business intelligence platform QlikView - to see how they compare. There is a school of thought which stipulates deploying business intelligence (BI) tools to as many people as possible in the organisation. Rolling out BI to the masses empowers staff to make business decisions themselves, rather than rely on managers. However, the cost of rolling out major enterprise BI tools across an organisation can be prohibitive, CIOs can obviously reduce this cost by opting for low-cost or open source alternatives. With this in mind, Computer Weekly has reviewed two different tools - Jaspersoft's open source Business Intelligence Suite Enterprise Edition and QlikTech's commercial business intelligence platform QlikView - to see how they compare. Gartner's January 2011 Magic Quadrant for BI Platforms featured both Jaspersoft and QlikView - with Jaspersoft meeting the criteria for the first time. Gartner considers Jaspersoft more of a "niche player", but among the challengers, while QlikTech operates in the "leaders and visionaries" quadrant, alongside SAP, SAS and Information Builders. Rita Sallam, research director at Gartner, says: "Cost [and TCO are] by far the most compelling part of the Jaspersoft value proposition and the major ingredient driving its success." In comparison, QlikTech implementations can be significantly more expensive. 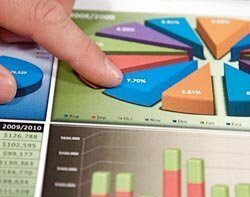 "QlikView is increasingly seen as expensive. Almost a third of its customers surveyed see this as its main barrier to wider use. Its pricing model often does not sit well with larger deployments to more users, nor does the investment in RAM required to support the increasing numbers of concurrent users," she says. In terms of functionality, both platforms offer sophisticated data visualisation and dashboards and a full range of BI tools, albeit through third parties for Jaspersoft. In conclusion, QlikTech is a better option for larger enterprise implementations with deep pockets, while Jaspersoft is ideal for smaller companies that are happy to work with a commercial open source platform.